Our exquisite rose and lily bouquet is a reminder that love is a many-splendored thing. Timeless romantic red roses and fragrant white lilies in a simple glass inspiration vase – a sweet yet spectacular way to express what’s in your heart. She’ll melt. 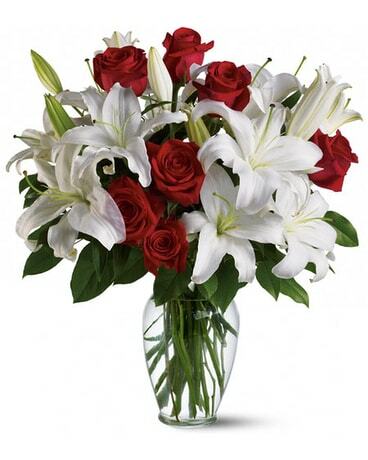 This charming bouquet features red roses and white oriental lilies accented with fresh salal.